An online retailer goes to print. 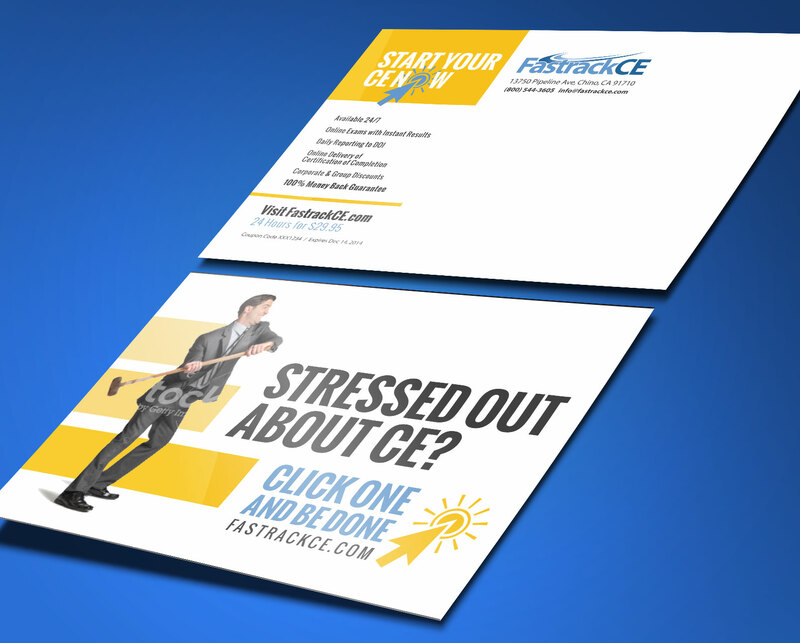 The purpose of FastrackCE’s postcard campaign was to distinguish themselves from other continuing education (CE) providers while also getting recipients to react instantly to the postcard offer. 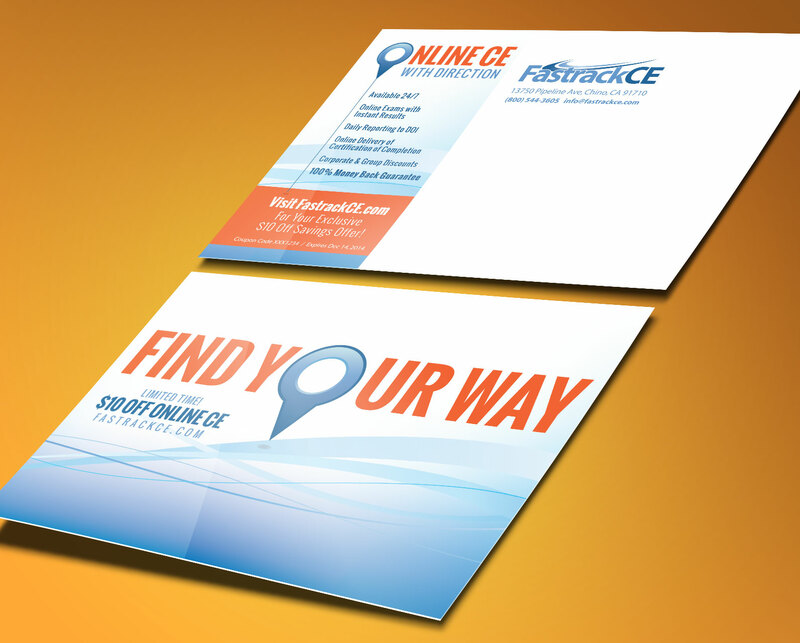 They needed assistance with messaging and some dynamic designs. Beginning with a brand consulting session to gather information on the campaign goals, we tested a few concepts with them before they chose “Time Out,” whose distribution coincided with football season. We have worked with them on an ongoing basis, testing different offers and styles, as well as consulted on content development and landing pages. 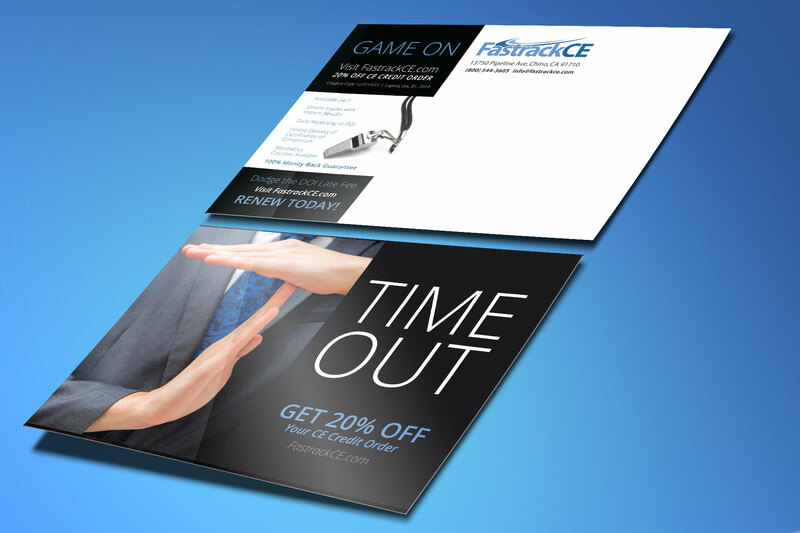 The campaign speaks to the professional and gets immediate attention. 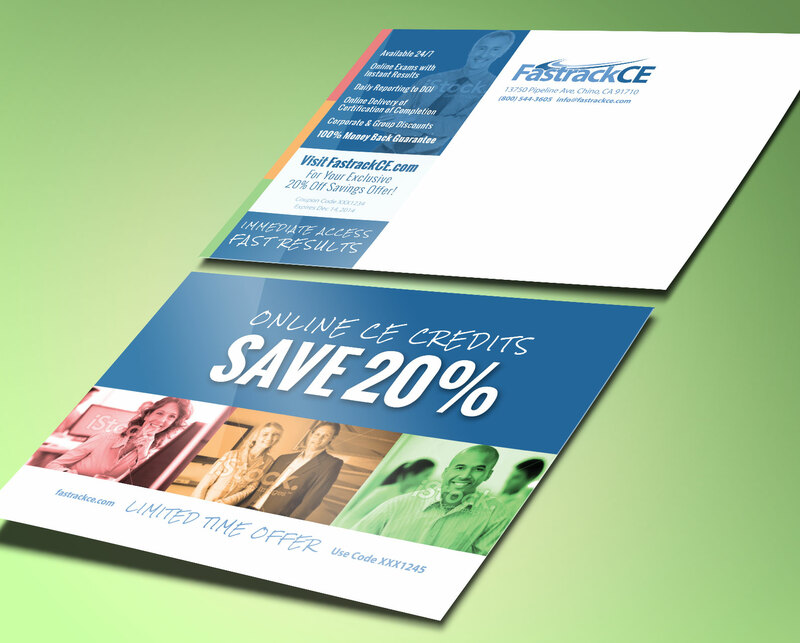 The colors draw the businessperson and the text format grabs you when scanning the card. I think it will offer a quick response. Thanks for all your hard work and ideas.